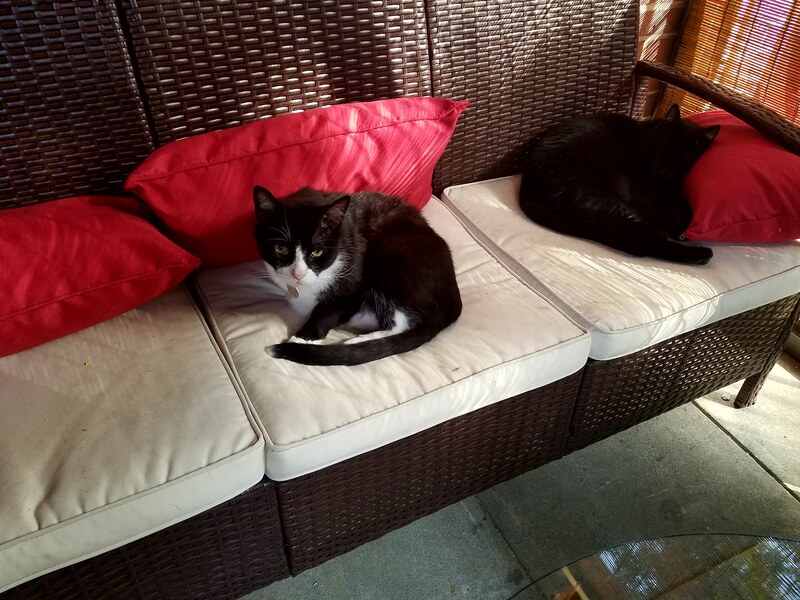 Thank you, Humans, for installing this new couch in our private, members-only Cat club, sometimes erroneously referred to as a front porch. What’s that, Humans? You want to sit on our couch? First, you are not members, membership is by invitation only and, even if we were to invite you, the club fees amount to more cans of tuna than you can afford. Second, the only remaining cushion is reserved for our esteemed club member Quicksilver. 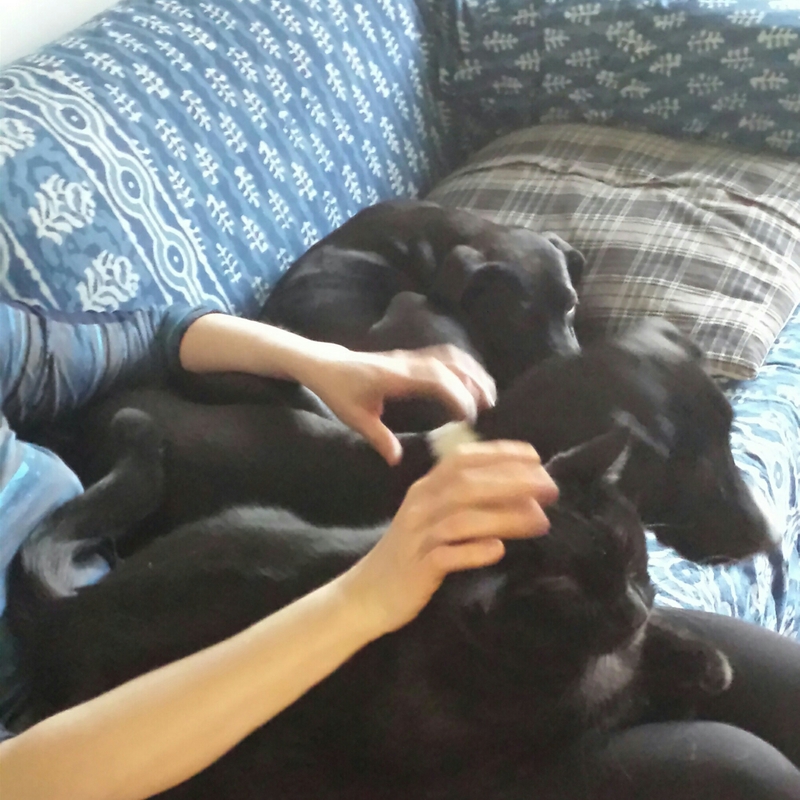 If you can’t beat them, you might as well join them on the couch.